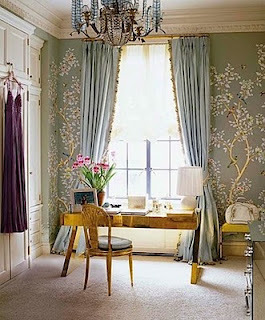 Lately I have been itching to redecorate my master bedroom and den. Of course I don’t have the funds right now to do that, but a girl can dream right?? 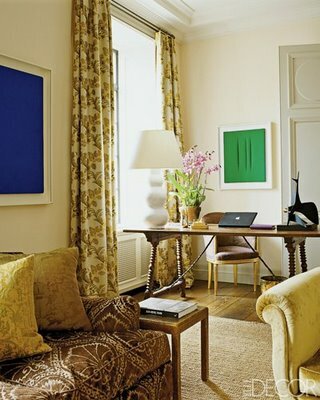 I still have the Elle Decor saved with Aerin Lauder’s home featured. I came across it yesterday and it reminded me how much I love her style. 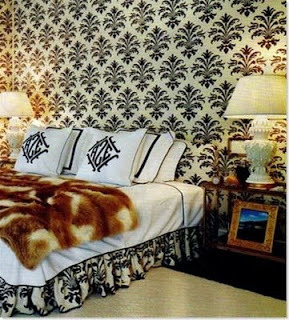 I especially adore her bedroom! Isn’t is gorgeous? 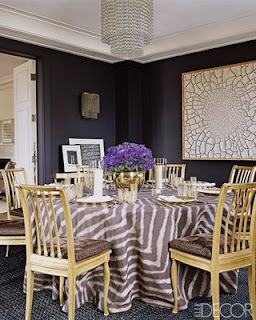 Love those pictures, especially the table with the zebra print! Oh, lookie – my friend & co-worker, Kelly, commented above me. I LOVE that bedroom and would be one happy girl sleeping in it.